It's been crazy busy at the real job cause it's summer and we're short staffed and because we're spending more time with the computer than we are at providing patient care. So tired of it. 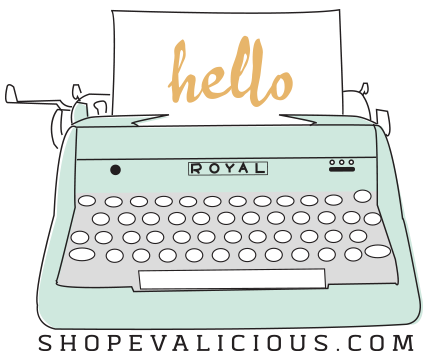 So glad i had this week to recuperate by lounging and doing nothing but what i love most--making stuff for my etsy shop! 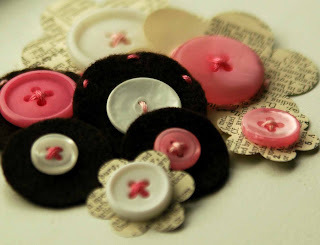 Eddie keeps asking me if I'm tired of making all these button embellishments yet. I smile and the answer is still the same after hundreds of sets made, "it makes me happy to see them come together from nothing to unique embellishments and it makes me even happier when people love them as much as I do!" So we were very indecisive about whether we were going to do anything with our vacation days together. We didn't have anything set in stone. I didn't really mind staying at home cause it would let me play catch up in restocking my store. So we decided to stay home to be environmentally friendly (cause the places we were gonna go were a 5 hour drive) and to save $$$ because Eve has spent a lot of it on supplies for her etsy shop. :) I came up with some new colour combos with inspiration from my etsy friend mezara. She'll be opening an online store in France and ordered some goodies from my shop. Some new colour combos include aqua/fuschia (more like a softer version cause those were the colours I had to work with from my supplier), baby boy and baby girl. Eddie, Mylo and I went to a little secluded beach in Tsawwassen (?sp) on Thurs after dropping my MIL off at the ferry terminal. Eddie threw the stick for Mylo while I put together another one of my coptic stitch books. I love it when these cuties come together--it's so magical! Will post the book soon. 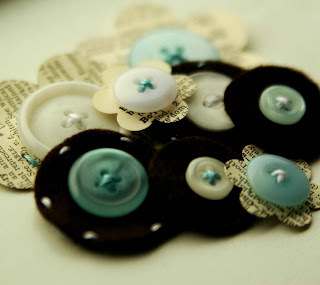 Also putting together a new set of vintage dictionary button flowers--the colour is ocean which consists of baby blues, royal blues, navy blues, and some in betweens. I love how it's looking and can't wait to post these too! So many buttons waiting for their turn to be transformed into something new. Have a good weekend everyone-I start my set of 6 days tomorrow. I saw your Etsy shop listing on Etsy's home page and really liked your style. 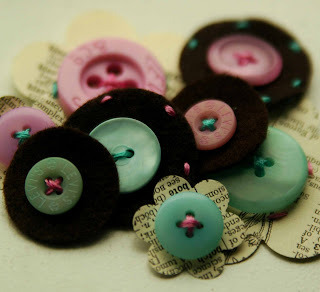 Love love these buttons - just ordered to sets!! Yay! !